On at least three occassions I've frozen my hard drives and been able to retrieve what would have been lost info before the drive finally spins it's last breath. This is a bit of an odd trick but what a cheap and easy fix! One of the things that gives Paul Cotton Films great value is the immense library of shots that have been logged and keyworded over the years. To have those clips at my fingertips lets me produce more interesting content at a fraction of the price which serves both myself and my clients quite nicely. A backup strategy is key to this. Another simple but extremely useful trick is to use bags to store your freezing electronics in while warming up so they don't gather condensation from the surrounding air. I didn't do this with the hard drive as it seems to be the cold that makes this trick work but I use this on a daily basis when I'm out shooting in the snow with my video camera. 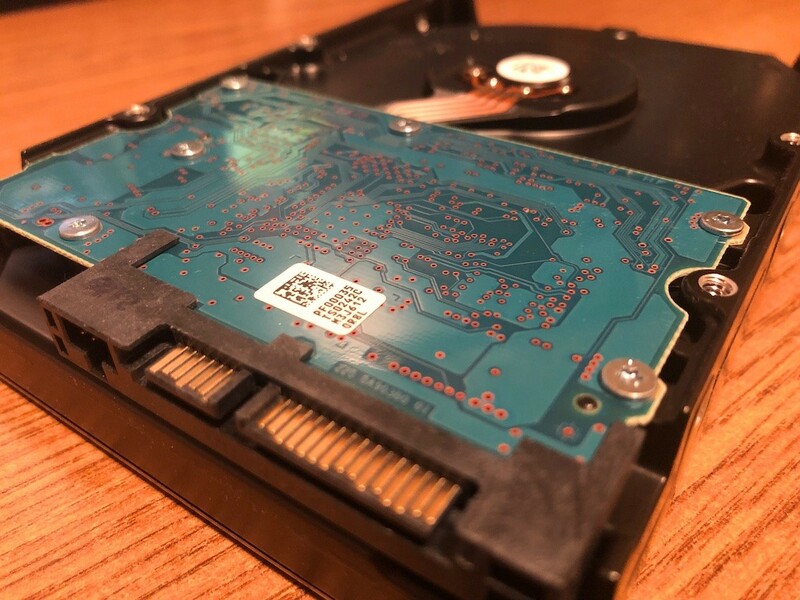 With the price of hard drives being as cheap as they are it can save a lot of time, heart ache and head ache buying two instead of one and keeping regular automated back-ups. For my system drive I've had very good luck using Apples Time Machine. Very easy to use and great in the fact that you can just retrieve a couple of files from different points in time as needed. For the back-up of my media drives I use Carbon Copy Cloner which is scheduled to clone the drive once a day. It verifies the info is written correctly to the back-up drive as well. One potential problem with this that I have yet to experience is that it could potentially clone a corrupt file leaving you without a working copy. As a final back-up technique I regularily back-up project files, client media and pretty much everything I can that isn't too huge onto a BluRay Data disc. I'm not a fan of optical media but at 24GB per disc it's a great way to save odds and ends to help rebuild a project years after the fact. I burn these discs using Toast software and then catalog them using DiscCatologMaker. Then print the contents and date on the disc using an Epson printer capable of print to disc. Out of curiousity I just looked and I have 354 optical discs (either DVD ROM or BluRay) which contain 1,540,000 files currently catalogued. The earlist going back to 2005. One last helpful trick that I do in my workflow is title most every folder with Year-Month-Day-Project Name which naturally keeps things in alphabetical (or would it be numerical?) order. Many of my clients might remember me asking them right at the get go what I should call their project. That's because having media and files that you know you have but can't find is absolute madness. Organization is paramount. Keep it backed up, titled, and organized and life is good.